Marjan Sarec, whose political movement is leading opinion polls before elections in May or June, said that Slovenia should own a strong domestic bank, even as he criticized the government’s delay to sell state-owned lender Nova Ljubljanska Banka d.
The Adriatic nation is extending talks with the European Commission after the government-in-resignation of Prime Minister Miro Cerar reneged on a pledge to sell NLB, the country’s largest bank, last year. The sale was a condition for a 3. 93 billion) bailout in 2013, when EU officials allowed Slovenia to rescue the bank to avoid a Greek-style international bailout of its state-run lenders. Issues around NLB were “messed up long time ago; the capital boost was too large and the bank should have been sold before that,” Sarec said Friday in a written response to Bloomberg questions. “I’m leaning toward the state keeping a controlling stake in NLB and the European Commission, as much as I know, is allowing that. ” Cerar resigned last week amid public-sector protests and after a court annulled a referendum in a ruling that put his cabinet’s largest investment project on hold. The talks over NLB between Slovenia and the commission are being extended. 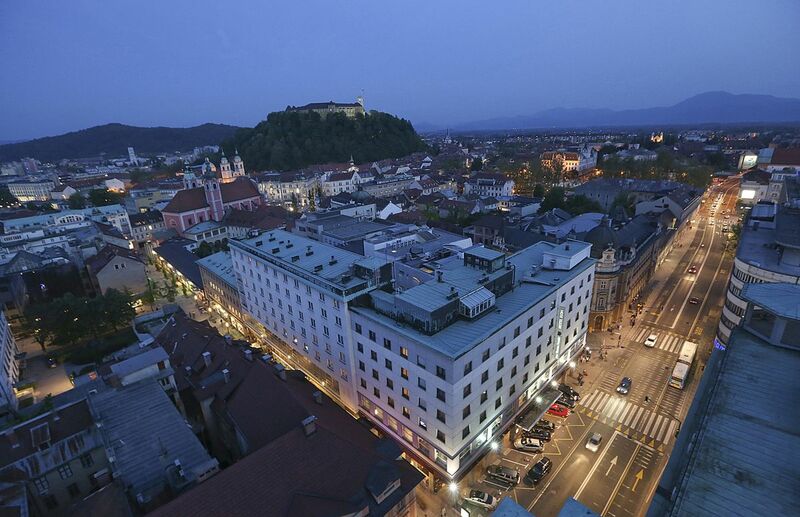 The EU’s executive arm will soon release a report on an in-depth probe on the Nova Ljubljanska sale delay, the Finance Ministry said Friday. The government has proposed alternatives to the outright sale of NLB. The yield on the benchmark bond maturing in March 2028 was little changed Monday from the previous three sessions, according to data compiled by Bloomberg. Sarec, who lost to incumbent Borut Pahor in a presidential election last year, is leading opinion polls before the parliamentary ballot. A survey last week showed his list of candidates with 19 percent support, followed by the Slovenian Democratic Party of former Premier Janez Jansa with 14 percent. Cerar’s Modern Center Party was fourth in the poll. The ballot was originally slated for June, but Pahor said that may be pushed up by a month. Coalition Possibilities Sarec refused to say which parties he may try to ally with if he wins the vote. “First the election results, then talks,” he said. The former comedian, who is now the mayor of the city of Kamnik, has pledged to sweep out Slovenia’s traditional political elite from state institutions, including the former Yugoslav republic’s monetary authority, whose head is a member of the European Central Bank’s Governing Council. “Given the center-left leanings of his party, his natural partners would likely be on the left of the political spectrum, the Social Democrats and the Pensioners’ Party,” said Otilia Dhand, senior vice president at Teneo Intelligence. “However, striking a deal may prove difficult, because Sarec positions himself as a challenger to the old political elites, which these parties represent.